Packing Products: Tea, Washing Powder, Spices, Sugar, Mouth Freshner, Pan Masala, Khaini etc. 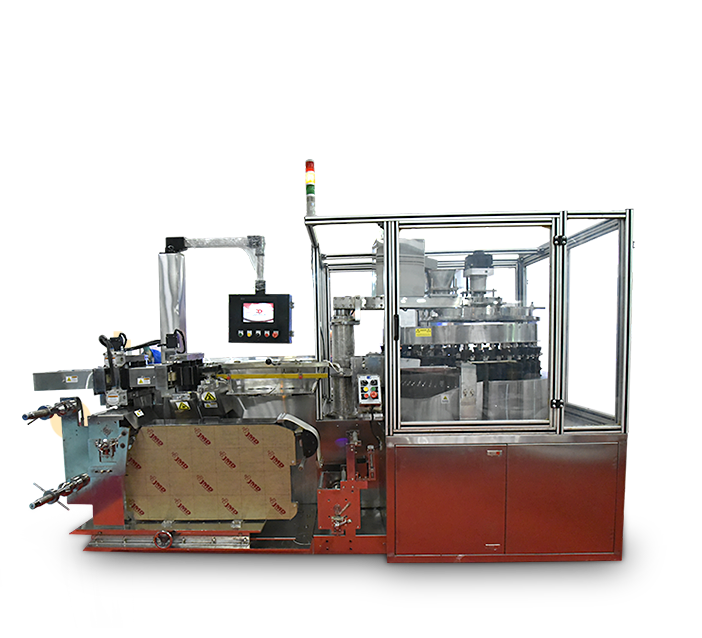 Jawla Advance Technology is a renowned Pouch Packaging Machines Manufacturer in Faridabad. We deliver well-equipped and top-notch packaging solutions for the industry verticals. We plunged into the manufacturing sector with an aim to fulfill the crucial needs of Pouch packaging. Different products have a unique packaging demand. Some need to be filled in grams while some get kilograms packaging covers. 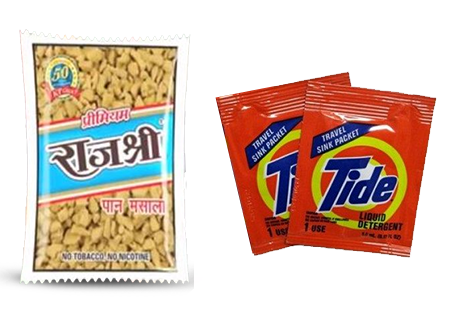 Products such as Pan Masala, Khaini, Sugar, Candy, Mouth Freshener, etc., require smallest pouch packaging options. Therefore, our horizontal rotary machine JAT-305 perfectly locks the product in the finest sachets and pouches packaging that maintain the freshness and the leakage. Our well-equipped Pouch Packaging machine runs with 720 r.p.m. speed with maximum power consumption of 12 kilowatts. While the compressed air is mandatory, the Batch Cutter and the Splicing are optional for the proper functioning. The machine contains volumetric dosing unit along with Servo Driven Screw Filler. It is an automatic three phase AC Pouch packaging machine which works on 440 volts. You can also use it as Spice Pouch Packaging Machine that binds the product from three sides with no room for moisture. Our pouch packaging machines have gained many appreciations from our former clients. Among the other Pan Masala pouch packaging machine manufacturers, we have earned an eminent name in the industry for our state-of-the-art solutions. This has motivated us to expand our services and to come up with the newly manufactured automatic sugar pouch packaging machine.